“Remember when you’d sing just for the love of it? And any joy it would bring.” Why can that be so hard to bring back? Why does that freedom slip through your hands? And why, when you have found the answer, can it lead to another set of questions? Well, chances are it has to do with complicating the moment, and loss of perspective due to a heavy wave of fatigue. Full disclosure here, I really did not want to write this article. Embarking on a journey of finding the right words to throw on the pottery wheel seemed like a forced task. Then, to have to stand there, spin and refine it, was like launching into a haunted cave. Why push myself in through the arches when I can easily just turn back around? 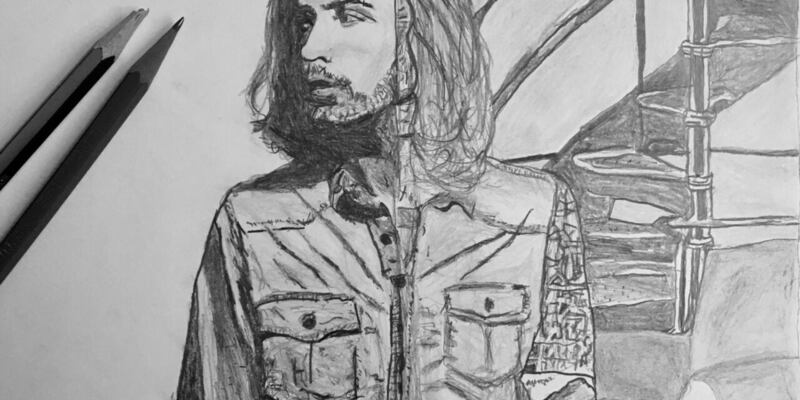 Enter Wasteland, Baby!, Hozier’s second studio album. 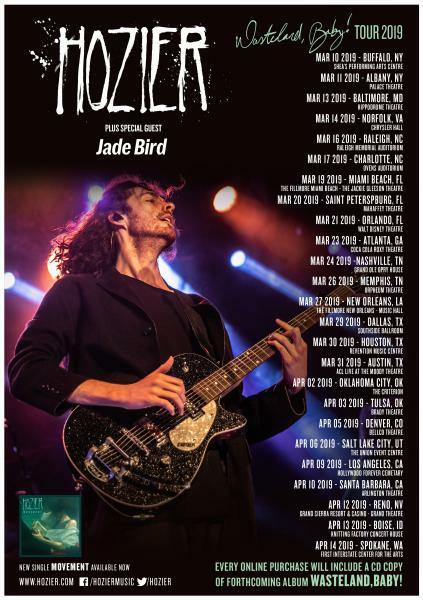 On January 16th, Hozier officially announced the new record via a short video on his social media handles, accompanied by a new song entitled “Almost”. 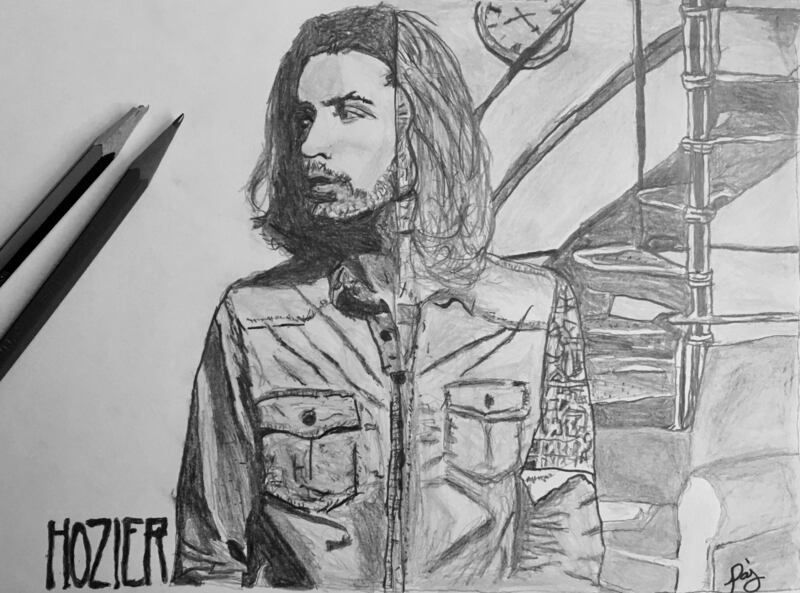 In this video, you see Hozier sitting alone at a desk. 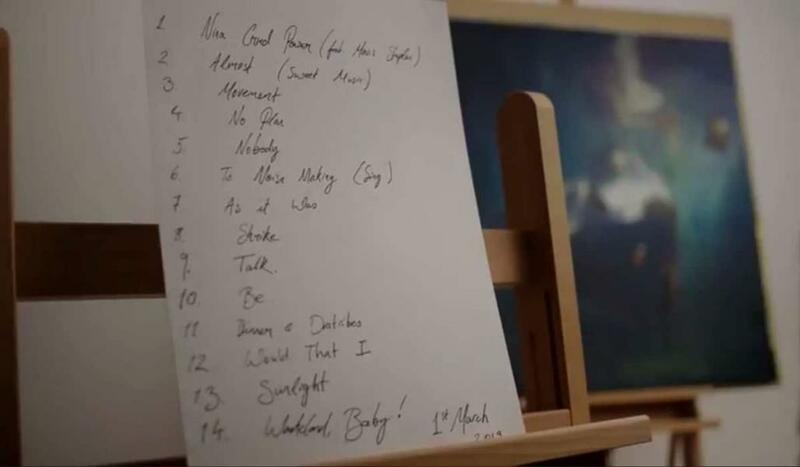 He writes out the song titles in sequence (in exquisite handwriting), marks the March 1st release date at the lower right corner of the white paper and then, gets up, walks into the adjoining art studio and hangs the track-list sheet on an easel. It’s accompanied by canvases displaying fresh paint drying with “sweet music ” blasting in the background. But the morning I pushed play on the last article under the big month of March umbrella, I finally had the chance (by chance) to listen to Wasteland, Baby in full. At first, I’m not sure what resonated with me, but something struck a major chord. 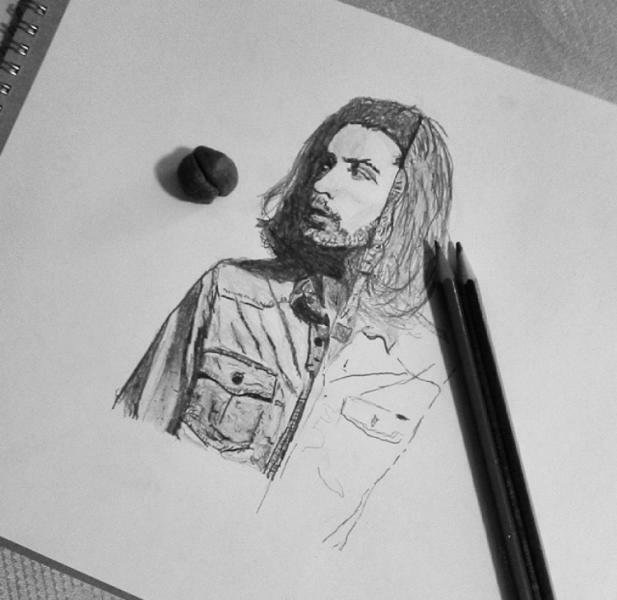 I tweeted just four words, “This new Hozier record”. I’ve kept going back to it ever since, sometimes listening to the entire body of work in order, and sometimes specifically selecting songs. What’s going on here? Slowly, I’m starting to answer my own question. Over the next few weeks, I have some incredible music adventures ahead of me. Some in the form of simply seeing a friend perform live at a small theatre, and others in the shape of pursuing new ideas. I’m certainly grateful for all of it, but furthermore, I am enamored by the fact that Wasteland, Baby! and I found each other at what appears to be the perfect time. Suddenly, the perils of “coming inside, burnt out from the joyride” doesn’t seem so bad when I have this encouragement to simply sing in my back pocket. The result is this odd-couple mash-up of – I really don’t care what happens, mixed with – I have something to say! I’m still exhausted, but it’s no longer the – forget everything, I tap-out kind. My headphones and a brisk walk back outside are aiding that toxic mindset, where I all really want to do is listen to Hozier gracefully suggest that I use my voice. In the aforementioned album release video, there are numerous canvases drying in the room. He walks right by some of them and stares intensely at the black-and-white writing he delicately centered on the easel. 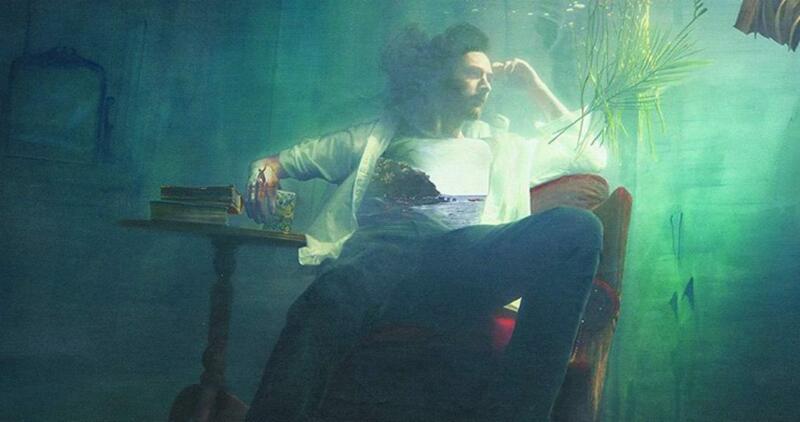 The album artwork of Hozier under water lingers on a canvas behind it. Maybe the neglected paintings are songs that didn’t work? Maybe you have to paint 100 of them to get one that you stare at deeply. Maybe the one that grabs you is actually in black and white instead of the larger one next to it, where you threw on – every color you had inside of you, thinking that would get people’s attention. And that’s how I feel. I just want to leap into the arms of the art and let it take me wherever it shall go. Because, like Wasteland, Baby!, that’s what moves me. When you glance over the colors of your core with intent to create a picture vibrant enough to attract everyone, you disrespect and miss out on the most fruitful raw elements of the art that are cemented right in front of you. Nobody may read this article. I’m going to get up from my desk, walk into the studio and hang it up to dry. Then, chances are, it’s just me who stares at it with a force that pierces. And that’s fine because this is my way of putting words to melody, and at best, I’ll find a little remedy. Wasteland, Baby! is available everywhere now.